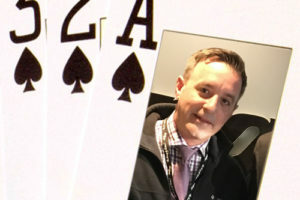 With a steadfast commitment to quality and business success, M&R, Inc. from the Phoenix region has secured two new account locations on their way to earning yet another Crown Club honor. For the husband and wife team of Martha Llamas and Ron Puechner, the new business is a testament to perseverance. 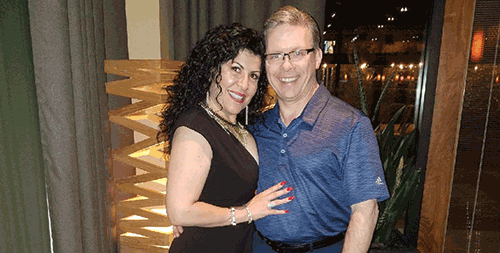 Martha Llamas with her business partner and husband, Ron Puechner. 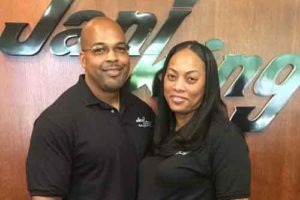 “In 2002 my current husband and I purchased our Jani-King franchise and are still cleaning that same facility, which is over a million square feet. Jeff has since retired and now sits on the Board of Central Christian Church. He is the one that recommended me to clean the church and I am very excited to have these accounts. Following her first marriage, Llamas took a job as a janitor for one of the first Phoenix based Jani-King franchise owners. She worked her way up to become the supervisor for that franchisee and then she became manager. After five years of working as an employee, Llamas and her husband decided to buy that franchise when it became available. Three years later, the couple tripled the business. Now, their franchise bills more than $1.5 million in business per year and has been for the last 14 years. In addition to managing a growing business, Llamas continues to devote her time to helping others in all aspects of their lives and businesses.